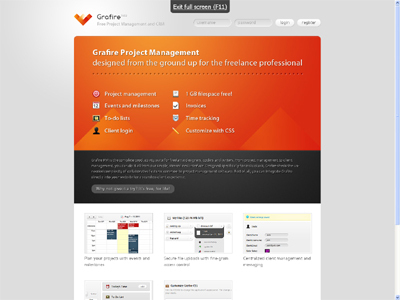 Grafire PM is the complete project management solution for freelance professionals. It includes standard project management features such as calendars, file uploads, messaging, to do lists, and time tracking. as well as not so standard ones like client login, custom CSS/branding and invoicing.